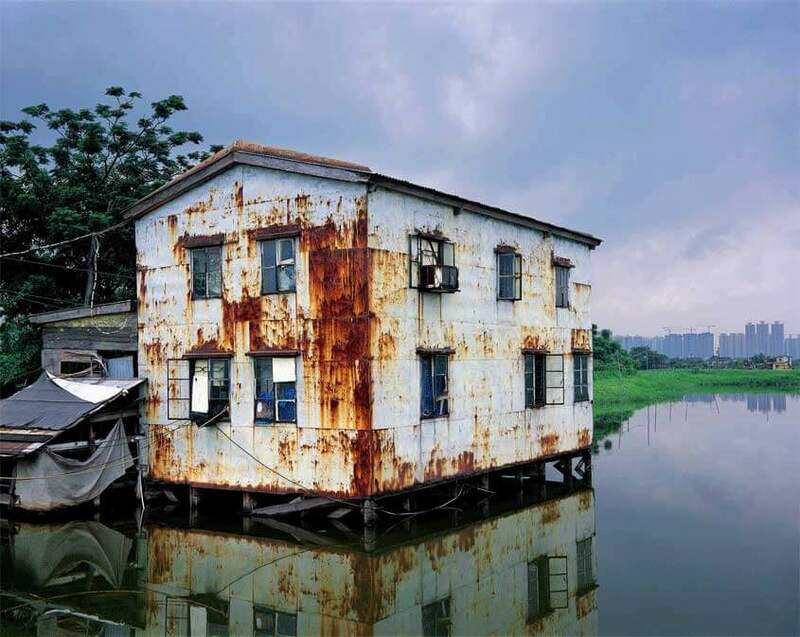 It is thought that fish farming in the New Territories evolved from rice paddy, where shrimp were farmed at the water gateways to the paddy. 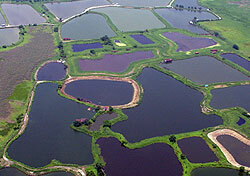 Gradually the shrimp and fish farming developed, whilst the growing of rice declined. As a result over time, rice paddy was replaced by the now familiar fish ponds. Over the years different food was given to the fish, which resulted in characteristic local flavours; for example peanut residue produced a much favoured oily texture. Fish farmers previously kept ducks, as their excrement was used to feed the fish, and the ducks were a useful additional source of income. However under later government legislation this practice was banned. During the 1960s, the fish fry needed by the fish farms were not available in plentiful quantities from foreign markets, as they are today. Surprisingly, grey mullet fry were caught in the catchwaters and off the beaches of coastal Hong Kong, where the fresh water from the rivers and salt water from the sea combined to create the brackish water favoured by the fry. Even to this day there are still 3/4 farmers who catch fry in this way, although most fry now come from Taiwan and Japan. Freshwater fish farming follows a yearly cycle, with the fry introduced to the ponds in early winter. The fish are harvested at the end of the year. To take better advantage of prices, fish are not all sold together but gradually, the water level of the ponds being reduced each day. Agriculture, Fisheries and Conservation Dept. The heyday of the industry was the 1970s, before the Chinese Mainland became involved. Fish could then sell for $40 per catty. The price now is around $10 per catty, resulting in very little profit. As income is generated only at the end of the year, the farmers have to budget very carefully through the preceding months and in the past they often needed financial support during this time. 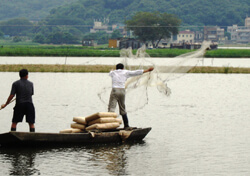 The muddy fringe waters of the fish farms are much liked by migratory birds, so bird conservation organizations have taken a keen interest in the methods used by the fish farmers and the preservation of the fish farms. The whole system is a delicately balanced polycuture, which is sensitive to inappropriate intervention. The Hong Kong Government attempted to introduce Australian Perch into the ponds, as these fetch a higher price than the traditional mullet or carp. Unfortunately it was found they consumed more food and created an imbalance in the system. Generations of fish farming has resulted in a tranquil green landscape, much favoured by migratory birds. Unfortunately the industry cannot survive much longer as young people avoid the hard work and low income of fish farmers, and supermarkets replace the wholesale dried fish traders. 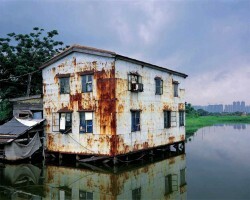 As in so many situations in Hong Kong, land development will almost inevitably take the place of the fish farms. Based on a review of a presentation given by Professor Sidney Cheung of the Chinese University of Hong Kong. This article was first posted on 6th June 2015.